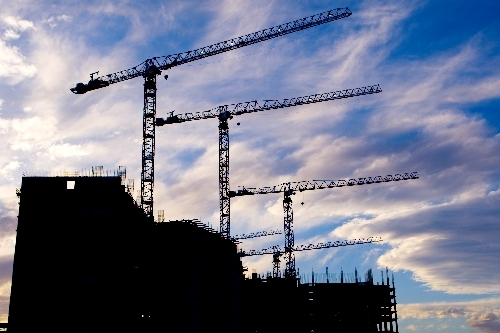 Cranes once swooped, welders once flashed and hopes once ran high at many valley construction projects that broke ground just before the ground broke beneath the economy. Now, behind their padlocked fences, the predominant activity is rust. Sadly these abandoned skeletons stand, monuments to failure, a constant reminder of a bet Las Vegas lost on itself. To find out what will happen to six of these sites, we consulted their owners — who were unsurprisingly mum — and sought opinions from Opfer and another construction expert, vegastodayandtomorrow.com blogger Mark Adams. The silver lining, according to Opfer, is that our dry climate will let these structures stand for another 10 years — five guaranteed — before decay requires remedial action or tear-down. The economic climate is another matter. It was supposed to have risen from the ashes of the Stardust this year. 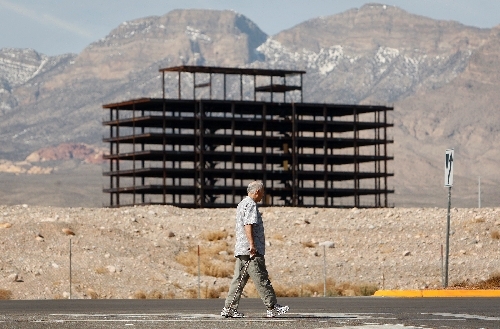 Instead, this $4.8 billion project began the Strip deconstruction trend in August 2008. 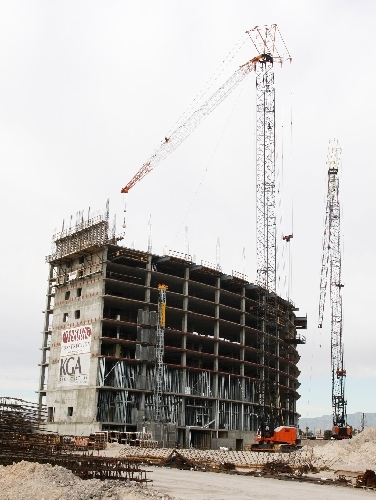 After building a central plant and four nine-story shells to various degrees of incompletion, Boyd Gaming laid off its construction crew and design team. Eventually, the cranes were removed. “It can’t be good for Vegas when tourists look out their windows and see signs of trouble like this,” Opfer said. Last November, Keith Smith, Boyd’s chief executive officer, told the Review-Journal that Echelon will be revived, in some form, but not for another three to five years. Because it’s 70 percent finished, this $3 billion project is less of an eyesore than its rusty neighbor across the street. It’s also more likely to reach opening day in its planned form: a 3,889-room luxury hotel. To finish the job would reportedly require another $1.6 billion. Adams doubts Icahn will stick around to do it. “He bought that thing for a song, and I think he’s gonna flip it when the economy starts to rebound,” Adams said, explaining that the purchase price is basically what the land is worth, so Icahn got the $1.5 billion worth of construction sitting on top of it for free. Nearly half the guests of the Rio have a lovely view of what $117 million looks like when it’s yanked from a 15-acre timeshare project. Fewer than half its 19 stories were built when Desert Blue became Deserted Blue last February, following the announcement of a $1.35 billion fourth-quarter loss by the parent company of owner Wyndham Vacation Ownership. Its cranes are still up, but no timeline for completion has been announced. 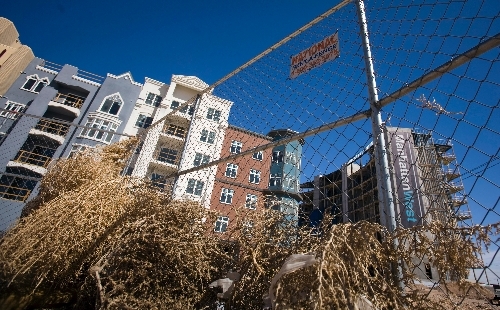 Recently, the Clark County Zoning Board granted Wyndham a three-year extension, until May 2013, to resume construction. Owner Gemstone Development West built not only in a remote area of the valley, but on the outermost edge of the real estate bubble: luxury condos. In 2005 and 2006, hopeful flippers drove the price in this market by bidding only against other hopeful flippers. More than 10,000 units sold valleywide this way. 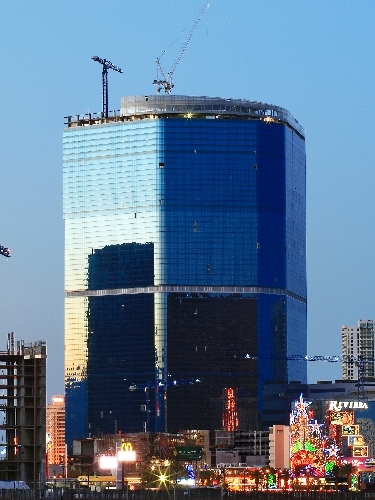 In 2009, according to salestraq.com, a mere 215 Las Vegas luxury condos sold. A spokesman for Gemstone said a three-way legal battle is building force among the banks that loaned portions of the $350 million budget, the company that guaranteed the construction loan, and the construction companies stiffed for their final two months of work. The case, involving no less than 35 law firms, is expected to get to trial in 2012. Until then, no one knows what will happen to the nine-story tower that has already been topped off, or the 20 acres on which it’s doing nothing. Las Vegas Sands CEO Sheldon Adelson recently told KVBC-TV, Channel 3’s “Face to Face With John Ralston” that he was “doubtful” he will again build on the Strip. We wonder if that extends to his company’s pledge to finish this joint project with Starwood Hotels. The St. Regis Residences were scheduled to open this month between The Venetian and Palazzo with 398 private luxury suites — each offering butler service. Instead, work stopped in November 2008. 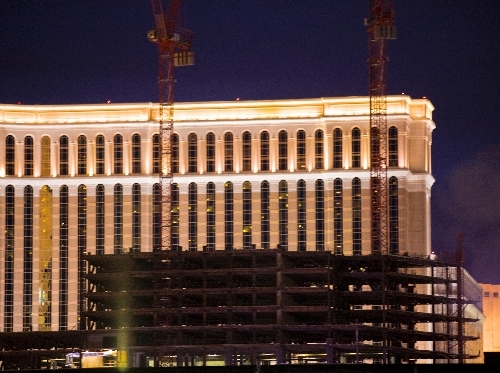 In its first-quarter 2009 report, the Las Vegas Sands Corp. said 18 months of additional construction were required. No timeline has been given for completion, and neither Starwood nor Las Vegas Sands responded to requests for information. “But the county won’t let it just sit there forever,” Adams said. Contact reporter Corey Levitan at clevitan@reviewjournal.com or 702-383-0456.